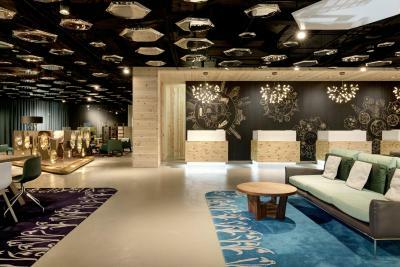 Lock in a great price for Swissotel Zurich – rated 8.5 by recent guests! Excellent service, beautifully decorated, great location! 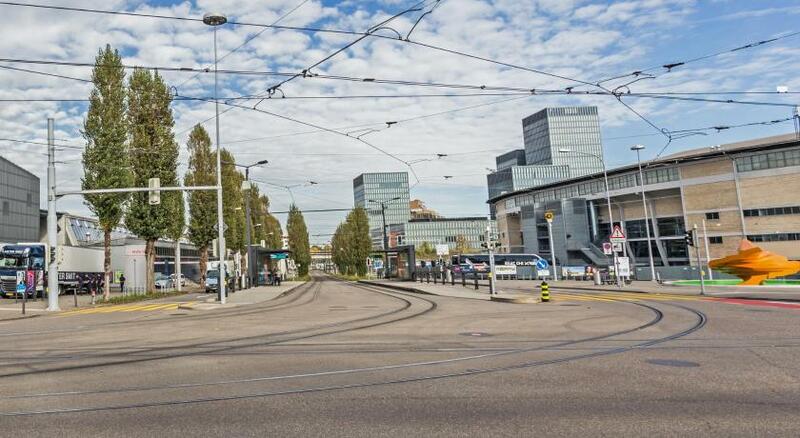 Location great (proximity to Oerlikon Train station and Zurich Airport). Breakfast very good. Great location. Great pool with a view to the city. Very nice stay. We got a very nice room upgrade. Across the street from the train station. The Swissotel was located near the train station and many other stores. We found the location to be very convenient. The room was... nice. Swissotel had everything we needed. Our room was comfy and cozy. The location across the train station with easy connections is very good. The breakfast buffet is good. Swissotel Zurich This rating is a reflection of how the property compares to the industry standard when it comes to price, facilities and services available. It's based on a self-evaluation by the property. Use this rating to help choose your stay! 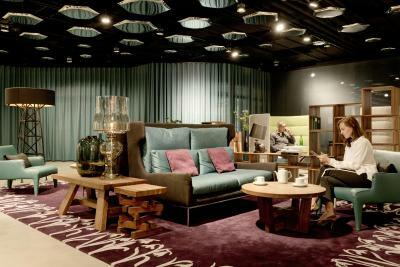 When would you like to stay at Swissotel Zurich? The elegant and spacious Executive Suites are located on floors 12, 13, 16-18 and 20-28. They are very spacious and feature a living room and a bedroom with a marble bathroom. Special features include a Bose HiFi system, an X-Box or Wii console on request, free WiFi, Pürovel toiletries, a mini bar and a coffee and tea machine. Public parking is available on site (reservation is not needed) and costs CHF 36 per day. Located on floors 11-13 and 16-20, these nonsmoking rooms are newly renovated in a contemporary design and feature air conditioning, a pillow menu and a marble bathroom with exclusive toiletries. Located on floors 11-13 and 16-20, these nonsmoking rooms are newly renovated with carefully selected materials and feature views over Zurich North and the region. Amenities include a pillow menu, a Nespresso machine and air conditioning. Located on floors 14, 15 and 21-29, these nonsmoking rooms feature a pillow menu and free toiletries. This double room has a flat-screen TV, mini-bar and electric kettle. House Rules Swissotel Zurich takes special requests – add in the next step! Swissotel Zurich accepts these cards and reserves the right to temporarily hold an amount prior to arrival. Parking is a little expensive, but I guess that's to be expected since its in Zurich. Location was great as it was just in front of the train station. Facilities like heated pool and sauna are free to use. Staffs are very friendly. Breakfast was wonderful with many choices! The bathroom had dirty plastic on the floor. The hotel changed my room, then the key did not work in new room! Nespresso machine reservoir was broken. New machine did not work! Bathroom cramped, not possible to sit on loo and shut door. No face flannels. Worst thing was breakfast. I have stayed here many times, and the buffet breakfast was a highlight. No more, overcrowded, not enough staff, food poor. Bread selection pathetic, scrambled eggs like rubber etc. No more honey from honeycomb. Hotel now seems to favour large groups. Overall disappointing. Double aspect room, though you pay extra! Location. All was good. The staff was excellent and friendly. Design of bath room. Very small and maybe more comfort without the bath tub. Perfect location for one night stay. Rooms are already old and in bad conditions. No mini bar in rooms. Room needs refurbishing, a bit old especially the bath. Great pool! And great location. price and quality was excellent, people very frie sly, the room was very clean and the server in the evenig was great . I was very disappointed at breakfast, the tables were not clean, on some tables forks and knives were missing and the server who looked asian was not friendly at all. so all was perfect until breakfast 😀 I will come back in hoping the breakfast issue will be resolved by then. Nice and modern hotel, well located for an early flight at the airport (very close to the Oerlikon train station - just one stop away from airport).